Any good endeavor requires a good plan - I have many to choose from if you're looking for something built. In addition, I have digitized some, and have made a downloadable CD available. My vast collection has many more plans than the select few shown here! Motor Boating Volumes 10 and 25 now for sale! Click here to find out more about the plans and how to purchase them. Many more from which to choose! Below are select designs I have available from my personal collection. Many of these are not readily available from other internet sources. Models start from the 1920's, and progress through the 1960's. Designers include the Johnson Brothers, William Jackson, William Atkin, Chester A. Nedwidek, Weston Farmer and many others. 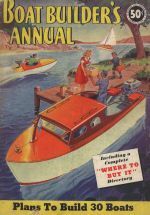 Styles vary from rowboats, racing punts, hydroplanes, and v-bottoms. Keep in mind, this is just a sampling of the designs I have to choose from, which is currently well over 100 designs. A sleek Bruce Crandall design from 1939 - scalable from the petite class "M" up though the monster class "X" sizes. Finn T. Irgens' early design. How early? He was the chief engineer at Lockwood at the time, and one of the main reasons Ole Evinrude bought Lockwood, helping to form OMC. Another work of art by Bruce Crandall. Little v-bottom runabout almost a micro gentlemen's racer. I have thoughts on making this a "convertable" boat, in that you can either user a steering wheel and remote throttle, or remove the seat and rear deck making it a tiller steerable boat. I have over a dozen of these in my collection - here's some classic cover art. 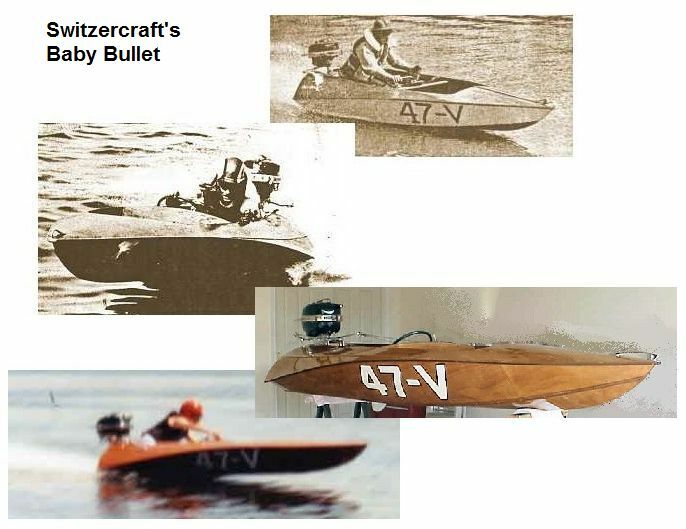 I've reverse lofted the famous Switzer Craft Baby Bullet. It's in the initial drawing stages, and have stalled on finishing the draings, but hope to get back to it soon. 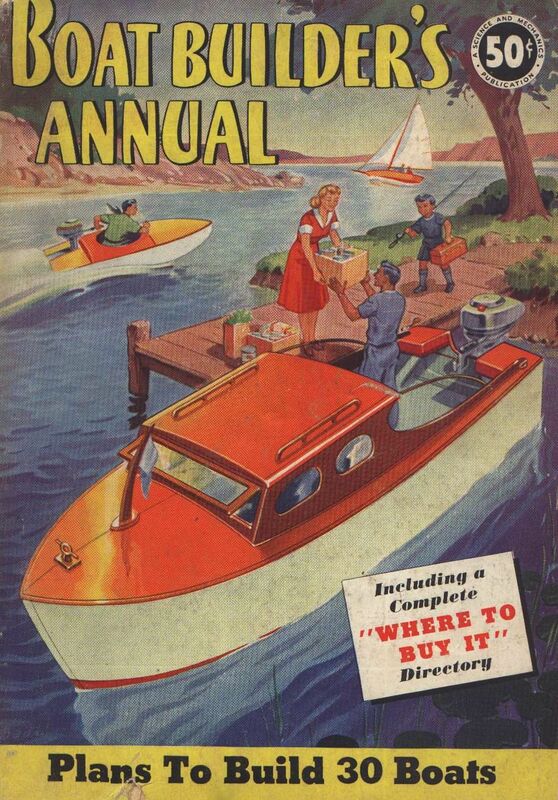 Here's a freebie you can download of a vintage speedboat for small outboards. "Sez You" by Weston Farmer, N.A. - click here for a ZIP or PDF file. Copyright © 2005-2011. Dan Kruitz All Rights Reserved. Designed by Free CSS Templates.